Pass & Seymour Standard size single plate receptacle has unbreakable design for added durability. It is molded of rugged and practically indestructible self-extinguishing nylon to provide protection against corrosion. 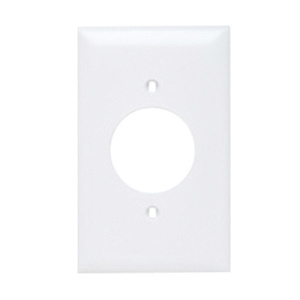 Single plate receptacle meets cULus and RoHS standards.